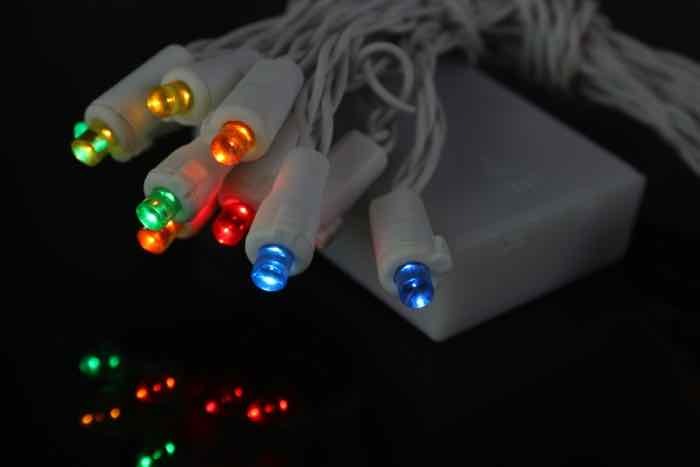 We think these multicolor battery operated lights are simply fun! They add a brilliant burst of color to any party or decoration. White wiring blends in beautifully with painted columns, fencing or stair rails. Consider wrapping your flocked wreath or small tabletop tree with these as well. 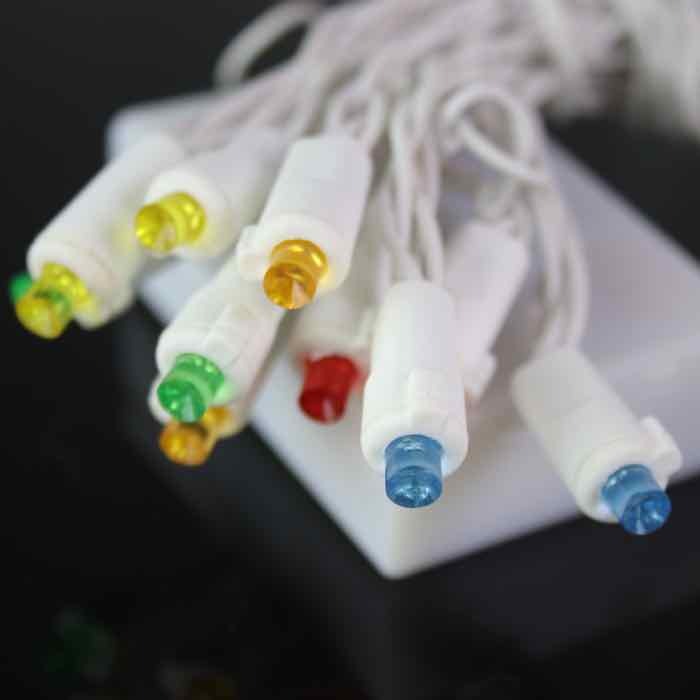 Each LED light string is equipped with 20 wide angle lenses that throw off a wide array of light. 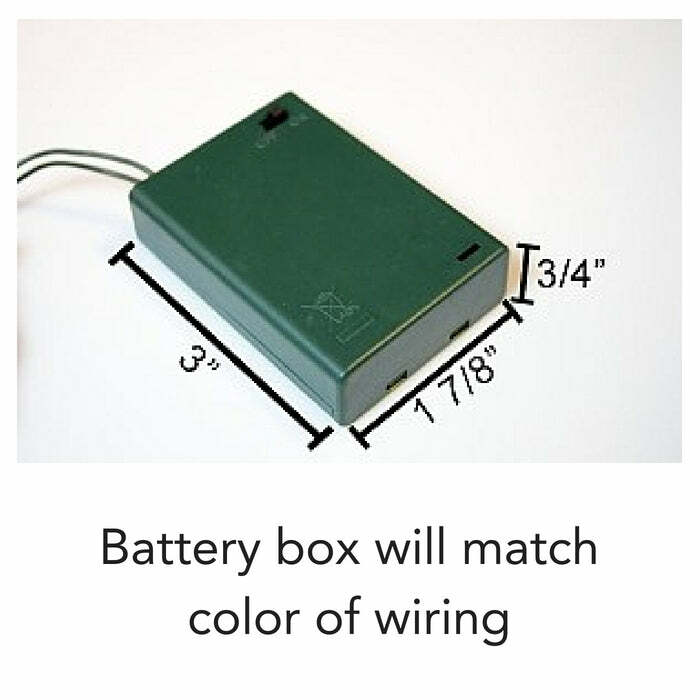 With 9.5 feet of lit length, you may only need 1 or 2 sets to complete your projects. 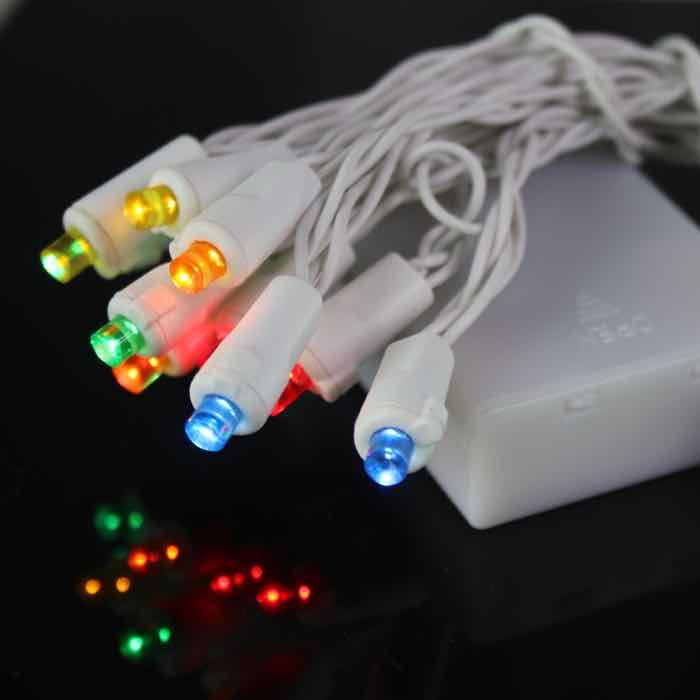 Each of these battery operated light sets will last 18-24 hours per fresh battery set. These battery operated lights are ideal for highlighting items on your Christmas mantle. Combine them with sparkly tinsel and metallic ornaments for a showpiece during the holidays. Q: I can't tell from the website - are these rated for outdoor use? A: These LED lights are the only style of battery light that we have that is rated for indoor/outdoor normal, seasonal operation. How are you planning to use them? These lights last an average of 18-24 hours per 3 AA batteries. Please keep that in mind if you plan to install them on a wreath.